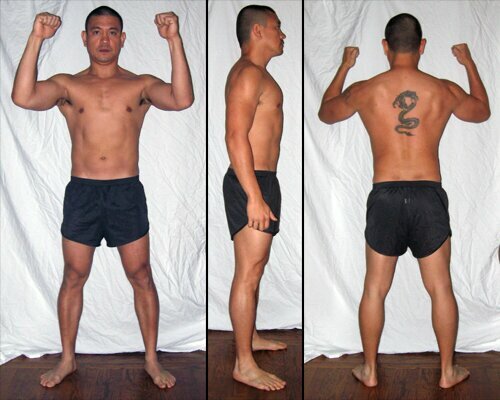 5/3/1: +72 Weeks Progress Review: 5/19/13 (+12 Weeks: Carb Back-Loading) – My Journey to Godliness! 12 weeks into Carb back-loading and looks like some decent progress! Slowly filling up and gaining weight! Very minimal body fat gain and I attribute that for a week of not so good meals. Think I have a good general understanding on what works for me while doing Carb Back-loading but still need to tweak things as needed. Not much happening on the lifting portion of my weeks. Weights are still decent but doing more reps that usual as they are mostly lighter still due to the last deloads. Still doing some decent conditioning as much as I can as well. Overall a good few weeks so far and hoping for an even better next 4 weeks!